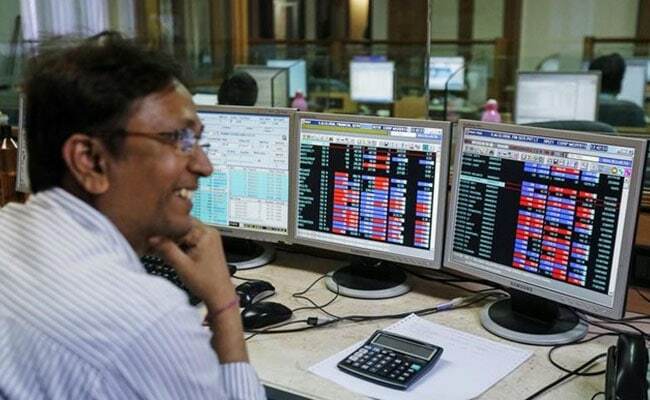 Domestic stock markets on Thursday closed at record highs led by IT, pharma and energy stocks. S&P BSE Sensex closed at 38,336.76, 0.13 per cent or 51.01 points higher while broader NSE Nifty settled at 11,582.75, 0.10 per cent or 11.85 points. Construction major L&T rose almost 2 per cent after its board approved a share buyback worth Rs. 9,000 crore. Among other major advancers were Reliance Industries, NTPC and Adani Ports on the 30-scrip Sensex index. Tech Mahindra, Dr Reddy, NTPC, HCL Tech and Adani Ports were the top gainers on Nifty50. During Thursday’s session, the BSE benchmark index hit a lifetime high of 38,487 while the Nifty crossed the 11,600 mark for the first time ever. The rupee fell against the US dollar to trade near 70.08, boosting exporters. Strong demand for the US currency, a day after the Federal Reserve released minutes of its latest policy meet, dragged the rupee lower. Weakness in rupee boosts profitability for exporters such as IT and pharma companies. The Nifty IT index — an NSE sectoral index — closed 1.2 per cent higher led by Tech Mahindra, which rose 2.8 per cent. The Nifty Pharma index closed 1.3 per cent higher led by Divi’s Laboratories, which rose 4 per cent. Energy shares also supported the markets, with the Nifty Energy finishing 1.1 per cent higher, led by Reliance Industries. Earlier in the day, the Mukesh Ambani-led Reliance Industries became the first Indian company to (RIL) cross Rs. 8 lakh crore in market capitalisation. Stocks in RIL settled with a gain of 1.6 per cent, after rising 2.1 per cent at day’s highest point. On both the indices, Tata Motors was the top laggard. On the NSE, it closed 4.6 per cent lower. Meanwhile, net purchase of shares by foreign portfolio investors (FPIs) was at Rs. 254.25 crore and Rs. 197.87 crore by domestic institutional investors (DIIs) on Tuesday, provisional data from the NSE showed.